At NLE Resources, we are always on the lookout to bring you creative programming ideas that can further your cause, bring awareness to all that you do and foster goodwill within the community. And so, we want to share with you four great events that where brought to our attention from our readers. The first event we want to highlight is from the LINK Kollel. As you know, this year, Lag B’Omer fell on a Sunday. As such, this was a great opportunity to not just have a fire or outing—but to have people really spend time together and enjoy their day off with all the rabbis and their families. LINK took advantage of this day and hosted a “Lag B’Omer BBQ and Softball Game.” This was a perfect opportunity for people to get to know the LINK community and its rabbis in a relaxed setting outside the walls of the Beit Midrash. This sort of event is something that any organization should consider replicating for July 4th or other such occasions. With Shavuot on the horizon, Aish Thornill is hosting their “9th Annual Shavuot Bake Auction.” This sort of event is a great way for all of the women in the community to come together, raise funds for their local shul and enjoy a shiur all in one evening! 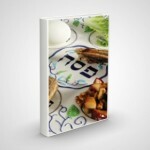 This idea is similar to the event held at Beth Jacob Congregation of Beverly Hills, California. The shul hosted a “Yad Eliezser for Babies Bake Sale” to help the Israel-based organization distribute formula to needy parents who could not afford to make this purchase. To that end, Yad Eliezer created a special page on their website for the event and also created a Facebook page called: Yad Eliezer for Babies Bake Sale. Finally, we want to feature this great programming idea (see below) from the Phoenix Community Kollel’s Women’s Division TLC (Torah Learning & Creativity). 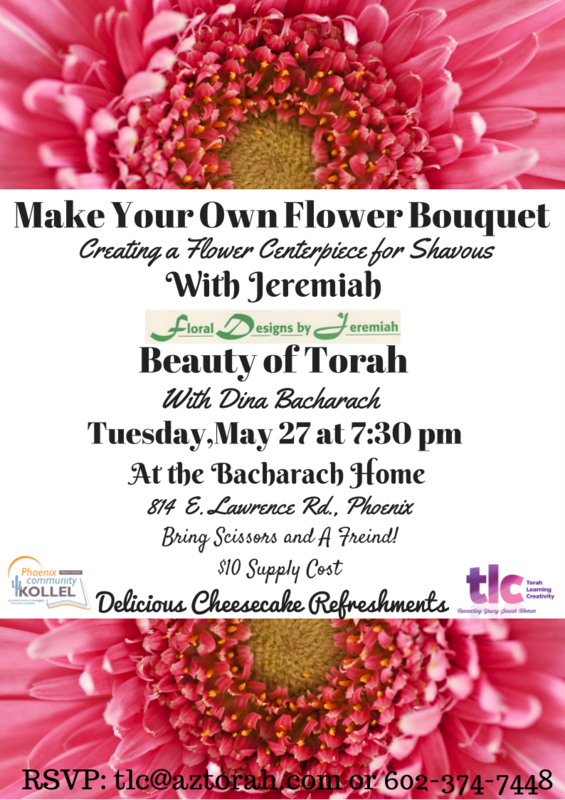 Their event allowed each woman to make flower bouquets with a professional florist, discuss the beauty of Torah and Shavuot with Rebbetzin Dina Bacharach and enjoy delicious cheesecake! 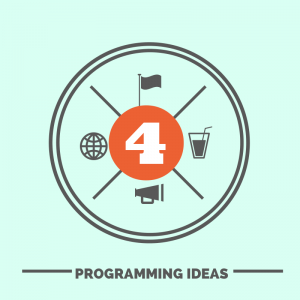 We hope these ideas are helpful and act as a source of inspiration when it comes to adding new programming to your calendar for the coming year. Hatzlacha!